This volume of the Dakhleh Oasis Project presents a first edition of the texts of three orations by or attributed to Isocrates ( Ad Demonicum , Ad Nicolem and the Nicocles ) as found in a new 4th century AD codex from Ismant el-Kharab in the Dahkleh Oasis (ancient Kellis). Isocrates himself lived in the 4th century BC; he was an Athenian orator who wrote many famous and influential speeches (although he never delivered them in public) which provide us with an extremely valuable commentary on the great political issues in the Greek world during the 4th century. 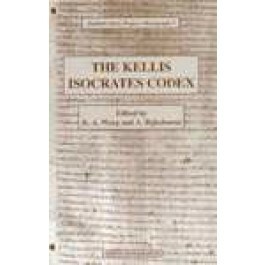 This codex is immensely exciting as it is the earliest text of Isocrates ever to have been found. It was discovered lying in the sand on the floor of a house excavated in Kellis and consisted of nine wooden boards tied together with string, inscribed in Greek on both sides of each board. Members of the project believe that it was probably the copy of a local schoolmaster as the general quality of the handwriting and the spelling errors make it unlikely that it was owned by a refined scholar. Moreover the orations contained in the codex were popular for school reading in antiquity. This volume reproduces the text of the codex in full, together with commentary on selected passages and discussion of the discovery, date and purpose of the codex, codicological observations and a tabular comparison of variant readings. Thirty black and white photos of the codex allow us to get extremely close to this remarkable document and provide a good impression of its size, texture, construction and appearance.